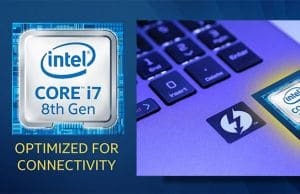 A few days ago I posted an article on the Intel Core i7-5500U processor, a higher-tier CPU part of Intel’s Broadwell U hardware platform, one that should make it into most top-configured ultrabooks that will be available in the next few months. This time is the Intel Core i5-5200U’s turn, a main-stream, more affordable and only marginally slower processor, as proven in this side by side comparison between the i5-5200U and the i7-5500U. This post is here however to tell you a few more things about this mid-range Broadwell U CPU and show how it compares with the Haswell Core i5 offers, namely the i5-4200U and the later updated i5-4210U. This way, if you have to choose between one of the new Broadwell configurations and an older Haswell one, which should be BTW somewhat cheaper, you’d know what to expect and what to pick. First though, a few words on this processor. Broadwell U is only a Tick step in Intel’s Tick-Tock strategy, which means it’s a manufacturing process shrinkage. If we’re to get a bit technical, while the Haswell platform was based on a 22 nm lithography, the Broadwell is a 14 nm process. In simple words, that equals that more “components” can be placed on a similar sized processor, or, that the new processors are physically smaller and require less energy to operate than their predecessors. The latter is mostly the case here. Of course, there are a handful on subtle differences and updates between a Haswell U and a Broadwell U processor, but as a large picture, you should not expect major performance boosts from the Broadwell platform when compared to last years’ offer (especially performance-per-clock). With that in mind, let’s have a look at the specs. Ok, so there are two major differences between the Core i5-5200U and the other processors above: base CPU frequency and the Integrated graphics embedded. Due to the 14nm manufacturing processing, Intel were able to create a higher clocked processor and that will have some impact on everyday performance. Besides this, the differences between the graphics solutions might not seem that much on paper, but in reality they are significant, as proven by both the benchmarks and the actual gaming results that we’ll be mentioning below. So for starters, here are some raw CPU benchmark results. The data pool for the i5-5200U is still very limited and the numbers above are based on my XPS 13 2015 edition (with 4 GB of RAM and SSD) and that’s why you should be aware these results might vary within reasonable limits, based on the tested configuration. For the i5-4200U and the i5-4210U I used Notebookcheck.net’s median results, as they have a larger range of tested products over the years (available here and here). Single Core performance between the two generations is within a 5% margin and that’s because when running these benchmarks, the CPUs should run at their maximum Turbo Boost frequencies, which are almost identical across the board (somewhat lower for the i5-4200U, visible in the results). 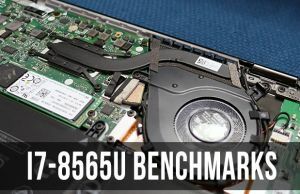 The Broadwell option steps in front when it comes to multi-core benchmarks, due to its higher base clock. Even so, the numbers are only withing 5-15% better when compared to the Haswell CPUs. SO while in reality you won’t really feel the difference between the two generations in casual everyday use, the i5-5200U and other Broadwell i5s will be somewhat snappier under more demanding tasks and multitasking. However, if we normalize the multi-core results to 1GHz in order to determine each CPU’s performance per clock, we’d see that the i5-5200U actually trails behind the Haswell options. And that for me means one thing: immature drivers, as the platform was just recently released, which in time should translate to somewhat improved results and overall performance. It could also mean that the Broadwell U platform’s performance-per-clock is just designed to sit beneath Haswell’s. However, keep in mind that this “normalization” is far from accurate, as I’ve considered that each CPU runs at its base frequency. However, the processors aren’t running at the exact base frequency during the tests, they might run higher (due to Turbo Boost) or lower (due to overheating, throttling, etc), depending on the implementation. So take these particular results as a general reference ONLY. Still, that should not matter much to end users. What you should know is that the i5-5200U is overall 5-15% faster than the Haswell based 15W Core i5 processors and it should also be 10-20% more efficient, based on Intel’s press-releases and my limited experience with the platform so far. But we’ll talk more about that in a future article, once I get to test more Broadwell U configurations. As for the graphics, I also plan on analyzing the Intel HD 5500 chip in a separate and more detailed article. But I’ll give you some spoilers here as well. Again, the i5-5200U results are based on the Dell XPS 13 2015, while the Haswell CPUs’ numbers are based on several different reviews I did over the years. Thus, you should only take them as a general reference, they will vary from product to product, from configuration to configuration. 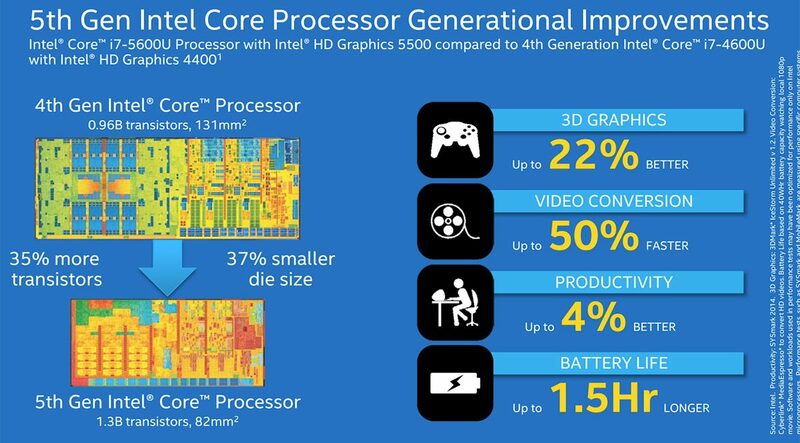 The bigger picture is that the Intel HD 5500 chip is actually significantly faster then the Intel HD 4400 solutions. And that’s noticeable both in benchmarks, but especially if you plan to run some light games on your ultraportables. Still, like I said, you should read my latest reviews for more updates or wait for the in-depth post about the HD 5500 graphics chip, should be available here on the site in a few weeks, as I gather more data. At the end of the day, I’d say Intel did a fine job with the mid-range Core i5-5200U processor and if paired with 8 GB of RAM and a proper SSD, such a configuration should do well for most of you, as long as you plan on using your computer for everyday activities such as browsing, editing texts, chatting, listening to music, watching all sorts of video contents and even play some casual games. Compared to the previous Haswell i5 processors, this one offers slightly better results in RAW CPU benchmarks (and it’s actually really close to the Haswell i7 processors) and significantly better results in anything graphics related. On top of these, it should be more efficient, which translates in longer runtimes, cooler laptops and potentially new and more compact form factors. If you want to know how the i5-5200U compares to the i7-5500U, you should follow this link. And if I get to test any of the Broadwell i3 configurations, I’ll have a dedicated post about it as well. For now, we’ll wrap it up here. This post should show you what to expect from the Intel Core i5-5200U CPU and whether it’s a good buy or not. In my opinion it is, but if you’re on a tight budget or just find a very good deal on a Haswell configuration, that could prove to be a smarter pick. Just get in touch if you have any questions or anything to add and I’ll get back to you. Hi Andrei! Can you give me your oppinion? Im thinking to buy an ultrabook for java development. Im between Lenovo u330 and new Dell inspiron 13 7000. In both cases ill buy an evo850 ssd and ill put linux on it. HI David. I’ve heard reports on various wi-fi problems with the Lenovo U330, so you should try to find out if those were addressed. If not, I’d stay away from it. Otherwise, both are good devices, with pros and issues, try to pick the one that best suits your needs. And since you want to put Linux on your computer, try to find out which one offer better support for this OS. the owner’s lounges on the notebookreview.com forums is a great place to start your search. Hi Andrei, thanks for the comparison. What would be the difference in gaming if we club i5-5200u and i5-4210u with nvidia gt 820m since there is a significant price difference between notebooks of these two configurations. Please reply to my query at your earliest as it will help me in finalizing my choice. Good day. The option with Nvidia graphics is going to have overall better graphics performance. What’s the price difference between the two models you have in mind? DO NOT BOTHER WITH A HYBIRD DISPLAY LAPTOP. The intel GFX in this CPU will try to take over ALL display stuff and makes the nvidia chip a complete and utter waste of an add on. Even with setting the nvidia panel to force an exe to use the nvidia chip won’t mean, it’ll use the nvidia chip. anything that uses java will only have the option of using the intel display chip as the OS doesn’t class java as a 3d type program so games like minecraft won’t use the nvidia chip ever on these laptops. And you can’t disable the 5500 chip it seems via bios or other means. Both are budget options, so you might want to read some proper reviews to know what exactly to expect from each of them. Personally, I can’t recommend on of them over the other. Apparently there are massive complaints about the 3543 model. Regular freezes no matter what OS you have installed. You can search for the “Freezing issues” for this model. I am going to return the product these days. I hope your experience was not the same if you went with this model. I’m not going to gaming on it and have read that the graphics card is a low spec card and is configured such that the on board Intel graphics handle most applcations and the Graphics card kicks in for hungry apps. So would i be better going for the better processor as its also cheaper? If you’re not going to do play games, then get the first option with the newer processor. You could use the saved money to upgrade the HDD to an SSD down the line, that will make the laptop way faster. I’m currently trying to convince myself to buy a new laptop, as a replacement for my antique TravelMate 2490. Based on my research, the i5 4210M is a decent cpu. However, now that Broadwell is out, i’m also looking at the i5 5200U. I’m guessing the 4210M still has bit of an edge over the 5200U(performance-wise), but really i want another opinion. Any thoughts ? I’ll be using the laptop for coding,browsing and some games(the most demanding one will be CS:GO, if you’re familiar with it). Also, it’s definitely going to have a full HD screen and probably going to have dedicated graphics. Yes, the 4210M is a faster processor than the Broadwell U series. It’s also less efficient and that will affect battery life. If you’ll go with dedicated graphics regardless then there’s no point to discuss about the Intel HD graphics on both of these. Bottom point, if you don’t care about battery life that much, get the 4210M (or wait for the Broadwell M series later this summer, if that’s an option). Since battery life isn’t a top priority, I’ve decided to go with a i5 4200H configuration. However, i had to drop the full HD screen requirement, as anything with a decent cpu and a FHD screen was way out of my budget. I am confused between Dell Inspiron 13 7000 i7348-4286SLV with Intel Core i5-5200U Processor and Dell Inspiron 13 7000 Intel Core i5-4210U. There is a difference of 70$ and all specs are same except processor. I am not a gaming person and I want good battery backup also. I am looking to purchase a Toshiba Kirabook notebook. The choice is I7-4510U (2ghz) with 2560×1440 touchscreen and HD4400 graphics @ $1799AUD or I5-5200U (1.6ghz) with 1920×1080 and HD5500 graphics @ 1586AUD. All other features are the same. Which would be the better purchase. There is also the opportunity to purchase the older model I5-4200U (1.6ghz) with 2560×1440 touchscreen and HD4400 graphics @ $1294. What are you going to do with it? The newer 5th gen i5 processor is a bit slower than the Haswell i7, but it offers better graphics (visible in games though, as both are able to handle multimedia content fine). Personally, I’d go for the i5-5200U config with the FHD panel. Still, it seems very expensive, have you checked out the Dell XPS 13 as well or some of the other premium options available in the 13 inch segment? How does an HP laptop with Intel Core i5-4210U compare with same price range Acer Aspire E with Intel i7-5500U processor? They both have 1TB hard drive and 8GB RAM. I need a decent working computer at a price below $900. I’m interested in ability to multitask on the Internet (run wordpress, and several tabs for research), some use of Adobe Creative Suite or Microsoft Office (not all at once). I have a strong computer at home, this is for flexibility. Thanks for your helpful articles! Depends, which exact models are you talking about? An i5 should be enough for what you need, but preferably pair it with 8 GM of RAM and SSD storage (or at least allow some extra to replace the included HDD with an SSD – yourself or in a specialized shop). The SSD would make a huge difference. Hey… I am going to buy a laptop… For gaming purposes… Which one is better with same amd graphics… 4210U pr 5200U? Hi Andrei, i want to buy a laptop just for my personal use, ms. office n some graphic designing softwares, Lenovo G40 80 i5 5200u 2.20, 500GB 4GB DDR3, 5500 HD Graphics would be good for me or not? Well, I’d get at least 8 GB of RAM for software like Photoshop or After Effects. Also, you’d probably want a good screen (unless you plan to use an external one) and the TN panel on this one is pretty crappy. So I’d probably look at something else, maybe even at an older laptop with 4th gen hardware, but more RAM and a better display. Due to the student offer going on, I’m getting the later one for the same price as the earlier one. I want a sturdy laptop with can play some newer game titles and can give snappy performance for everyday use and for doing college work related to programming. If it’s the same price and you want to play games, I’d get the Envy. It has more powerful graphics and the two CPU series are really close in terms of performance. Thank you for your advice Andrei.That was helful. I also wanted to add that I’m getting full HD screen with the pavilion laptop while Envy one comes in only HD screen. Can you highlight any major advantage of full HD screen which I will be losing on if I choose Envy. Hi Mark, the resolution is one thing to consider, but there’s also the panel type. The HD screen is probably just a TN panel, while the FHD could be IPS. If that’s the case, I’d prioritize it over the faster graphics, due to superior contrast/brightness/viewing angles. I couldn’t find any reviews for either of those so can’t confirm if that’s an IPS or a TN panel as well. Perhaps you can get in touch with HP or someone else who owns that laptop, on the notebookreview.com forums. Try to find out more about those panels before taking any decision. I am planning to buy a laptop. 6Ram, 1T HDD FULL HD Touchscreen for about $600.00. I wont do gaming, it would be for university paperwork, internet, music, soo maybe battery life does matter. Which one can be the best option? Hello Andrei. I’m glad to see you’re actually taking the time to reply to all of us. I’m currently trying to pick between those 2 laptops, and any advice would be appreciated. Hp pavilion with FHD 1920×1080, i5 5200U, 8 gb’s of RAM and Intel 5500. Lenovo X555LD with i5 4210U, 8 gb’s of RAM and NVIDIA 820, but with a 1366×768 screen resolution. So basically what I’m asking is this: As the 2 CPU’s are almost similar, is the FHD screen on the HP a better upgrade over the dedicated GPU on the Asus? Even though that GPU itself isn’t that big of an improvement over the Intel 5500. I’m going into post grads of engineering, not looking to do that much gaming tbh. There’s no Lenovo X555LD, I’d reckon that’s an Asus, right? I’d probably go with the HP for the better screen and newer processor. The screen is especially important. Other things to consider, besides specs, is keyboard quality and battery size. Thanks so much for the review. I would also love your opinion on my impending purchase. I am very excited that I have decided to by an Acer Aspire R7-371T, but I am trying to decide whether to pay for the i5-5200U or save $100 & get the i5-4210U. I just use my laptop for day-to-day word processing, note taking, web surfing, etc. I very infrequently stream any video and do not game. However, I do multi-task a ton (lots of tabs open & 1-3 programs/apps open at the same time. Hi Ame. I’d say go for the cheaper version, the i5-5200U is not worth getting for what you plan on using the laptop for. im wondering between lenovo u41-70 (i5 5200u geforce 940m ram 4gb hdd 1tb) and lenovo z50-7) (i5 4210u geforce 840m ram 4gb hdd 1tb) which is better? I have my eyes set on two very similar versions of the Acer r7-371t. All else being identical (8gb ram, 128gb ssd, fhd screen) the difference is in their respective cpus: i5 4210u or i7 5500u. So an i5 from the previous generation and an i7 from the current one. The machine will be used mostly for browsing, word processing and various multimedia tasks like movies and music. Games… Possible, but not very likely. Battery endurance is a big issue, however and I have no idea which cpu is more efficient. Considering the i7 is about 100$ more, i’d be very grateful for your take on this. Thank you so much! HI Alex. The i7 is definitely the faster of the two, there’s no doubt about that. Both are 15W processors, but with daily use the i7-5500U should be at least as efficient as the i5-4210U, if not a bit more efficient. I reviewed the i5-4210U model a while ago and found that it got really really hot under load. See this post: https://www.ultrabookreview.com/6598-acer-aspire-r13-review/. I don’t think the i7-5500U processor would run cooler and that can be problematic down the line. Not sure what your budget is, but I would personally try to find an i5-5200U config or maybe look at something else. Of the two versions you mentioned, I’d get the i7 if it’s only $100 more expensive. Try to get extended warranty though if available, in case anything breaks due to the overheating, you won’t have to pay for the repairs yourself. I’m planning to buy a new laptop for browsing, coding, videos etc… (but no gaming). I want to know the performance difference between the two. if I go with i5-4200U, would that be sufficient for the things I need to do. I have a question. I want to buy a new laptop. What should I get? First of all, if you plan to keep this for a while, I’d get at least a core i5 processor. Second, I’d definitely get a FHD IPS screen if possible. Third, I’d get a laptop that would allow for easy RAM and storage upgrades. This way you can add more memory or replace the HDD with an SSD later on if you so desire. Before you decide, make sure to look past the specs as well. read reviews and find otu how good the keyboard is, how the laptop does in terms of temperatures, noise and battery life. For the specs, aim for a Core i5 CPU or higher, and preferably 8 GB of RAM. You haven’t mentioned what kind of Nvidia graphics is there in the second option, but for game, even a low-end dedicated chip will outmatch the Integrated Intel HD 5500. So go with that one. It’s Nvidia GEFORCE 2GB. Both are asus. So also please tell is asus good? 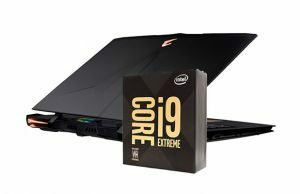 Need the laptop for running a statistical,designing,CNC softwares and not much of gaming. I’d get the former, the extra RAM is going to help more than the slightly faster CPU in the 2nd case. If the RAM is upgradeable though, you could consider getting the former and then upgrade the RAM once you get more funds. It will be used mainly for programming, surfing, web-site design. With HP I can put another 8GB and make it 16GB, it is with ASUS difficult but it has Graphic Card. I am planning to upgrade to SSD in 2-3 years, so I need your advice which one I should buy. I’d get the HP. Cheaper and with a bigger HDD. The dedicated graphics chip on the Asus will help in games, but it’s still a basic solution, so you shouldn’t expect much in terms of performance. Not familiar with that model. Based on the specs you mentioned, the HDD is the bottleneck? What the price? Abut 550$/1tb/ can you introduction a site for compare gpu or cup . Passmark is valid or cupboss ? Can you offer me a laptop abut this budget? I require laptop for mainly coding-development work, playing hd movies/songs, playing PC games occasionally. My top most priority is high performance (without or less hanging/freezing issue) without causing overheating. I heard intel i5 processor is better than 5th gen i3 in terms of performance. But the laptop with i5 comes at much costlier than i3. Do you think paying extra bucks for 5th gen i5 really worth it in terms of performance? FYI, I use linux for 70% of my day2day work. Rest 30% windows 7. Which Core i5 processor are you referring too? the Core i5-5200U? And which exact Core i3? Well, if performance is important I’d get the Core i5-5200U. However, having 8 GB of RAM and an SSD is going to make a bigger difference. What’s the RAM and Storage type on each of the two configurations. In both configurations, RAM is 4 GB DDR3L and hard disk is 1 TB 5400 RPM. It seems there is only 1 slot for RAM in the laptop. In that case I’d probably get the COre i3 and use the remaining funds to get 8 GB of RAM and preferably upgrade the HDD with an SSD, that’s going to make a very big difference. FYI, i am checking in Dell Inspiron 15 3000 series laptops. So if you are specifically familiar with this laptops, please share your feedback. I am planning to buy a laptop and I am planning on Acer E5-473G-55L5 with Intel core i5-5200U, NVIDIA GeForce 940M with 2GB Dedicated VRAM, 4GB DDR3 L Memory and 1TB HDD. Is this a good pick? I mainly use my latp for office/online works. not much of gaming. Thanks. The specs are mostly alright, but I’d put more RAM inside, 4 gigs are not really enough imo. Also, the E5-473G is mostly an entry-level laptop and has some flaws. This review should be helpful: notebookcheck.net/Acer-Aspire-E5-473G-Notebook-Review.148872.0.html . THis one probably has a good price, but you could also have a look at the similar Asus, HP or Lenovo machines.